The PlayStation Vita has consistently gotten the short end of the stick in the mainstream gaming media. For whatever reason, a majority insist there are no games to be found on the platform, that it’s impressive/expensive hardware with no compelling software. It’s not usually my voice you’d hear speaking in the Vita’s defense, but today things are different. I grabbed the Vita over Thanksgiving, so I’m a fairly recent convert. When asking over social media which games I should play, I got a few of the obvious choices—Gravity Rush, Persona 4 Golden and more. But there was one game among the many that snuck its way into my system, that’s left me with a lot to say. 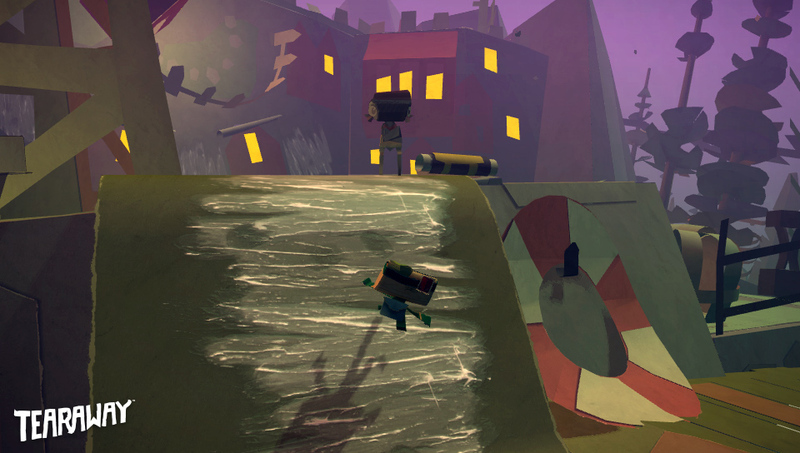 Tearaway is so much more than meets the eye. At a glance, you might see this game and think, “Oh. It’s developed by Media Molecule. So this is like another take on LittleBigPlanet, right?” Rather than answer this question for you all, I’m going to simply acknowledge it and move on. 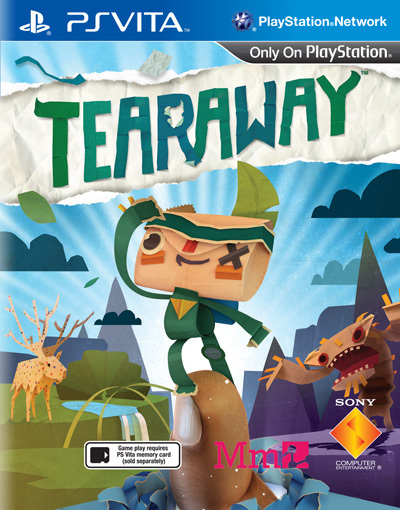 Because, at its core, Tearaway is concerned with thinking outside of the box. There are plenty of games that create compelling worlds, but few feel the need to venture outside of them. Take Final Fantasy VII for example. It’s a huge box filled with many interesting contents and characters, but to get to the heart of the matter—it wouldn’t make sense for Cloud’s story to become intertwined with yours, the player. 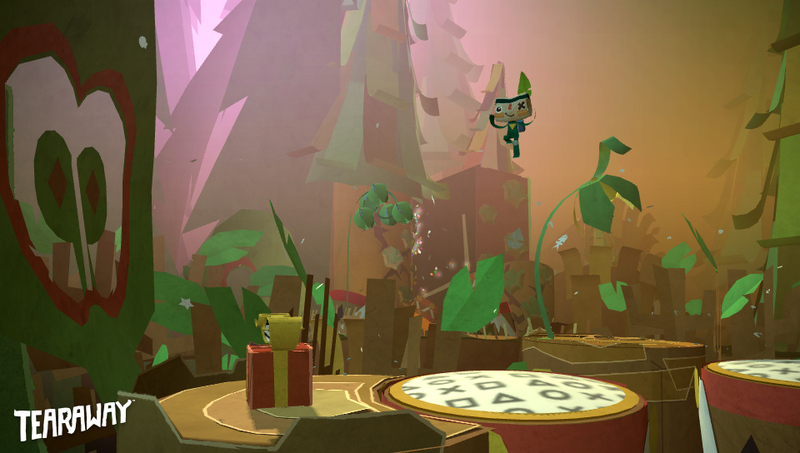 The story of Tearaway doesn’t just break down the fourth wall—it utterly destroys it in an attempt to reach out to “You.” You are the game’s hero as much as Iota is. Iota is a message to the player—guided, customized and personified by you (and a few charming narrators who help create the story). The plot concerns how the world perceives you, as well as how the world perceives Iota. There’s the occasional twist, some charming faces to meet, and even a sense of companionship gained a little later on. 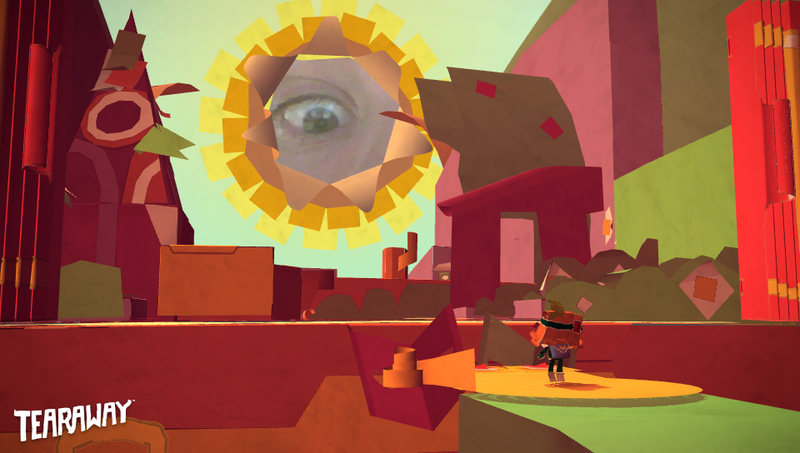 What’s most fascinating to me about Tearaway involves perception. Everything and everyone in this game is hyper-aware of the player. You’re always watching over the world—literally, because your face is the sun. 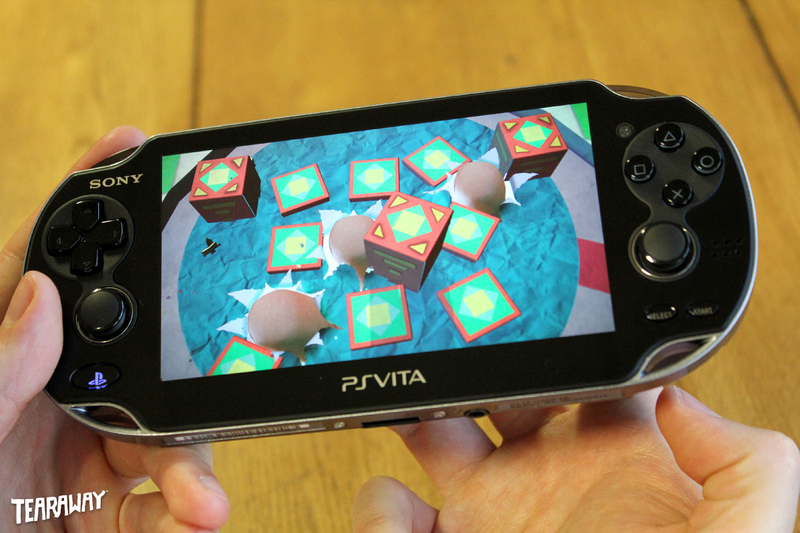 Every time the sun comes into view, you can see yourself thanks to the Vita’s camera. A lot of the technology of the system factors in to how the game controls, as well. The purpose of Tearaway is to guide Iota to the sun to deliver a message—getting there requires divine intervention. When enemies appear in the beginning, Iota cannot easily dispatch them. So…it’s up to you. Words can’t really describe the sense of wonder I felt when I put my fingers on the back touchscreen and saw them literally tear through the game’s world in order to completely obliterate any given obstacle in our way. I know a lot of you thought “gimmick” the moment you read that line—but I promise you this: There are games on Vita (and on the Nintendo Wii/DS) that are experiences that throw in touch/motion controls just because they can—and there are games like this one that make you think “The Vita was created for Tearaway, not vice-versa.” I felt similarly about Super Mario Galaxy. The Wii was built for Galaxy—the Vita was built for Tearaway and its outstanding, sometimes downright surprising gameplay. 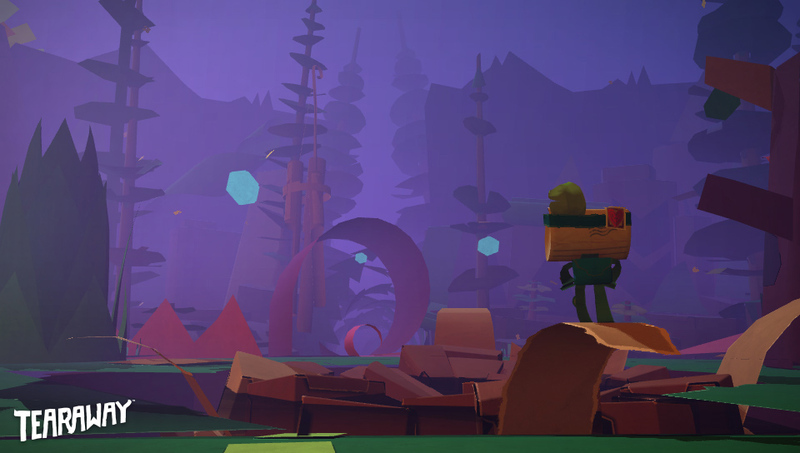 Beyond divine intervention, Tearaway’s controls are simple. Manipulate a free-range, non-stressful camera with the right analog stick. Move Iota with the left analog stick. Eventually, abilities are unlocked that make (clever) use of the other buttons. But…a good chunk of how the game operates does rely on the Vita’s two touch screens. If something is obstructing you from your goals, you’ll often quite literally have to brush it aside. Explaining the controls doesn’t really get more complex than that (lest I spoil things for you)—it’s like playing an old school platformer, but sometimes having direct influence on the levels as you play them. So far, I’ve spoken about how impressive the gameplay is, but I must place equal value upon Tearaway’s presentation. The graphics will remind Nintendo fans of Paper Mario, and offer Sony fans a completely different take on Mm’s charm. Everything is paper-ized. Oftentimes, you’re tasked with creating things for the world by literally drawing on and cutting out a piece of construction paper all via the touch-screen. I will admit, the one way the Vita’s technology is held back by this premise is due to it…not having a stylus, I suppose. Oftentimes I wanted to draw things, but my fingers are just too big for the intricacies required. Still, it’s a minor flaw, at best—I worked around it, for creativity’s sake. The soundtrack is very catchy, too. It really fits well with Iota’s journey. Tunes aren’t afraid to get creepy or compelling when they must, but the majority of the game’s music is uplifting and fun. The game is packaged in a way that’s similar to Rare’s old platformers. Collect confetti strewn about Iota’s world in order to purchase things that allow further customization of characters, including Iota himself. The game is so focused on paper-craft that it rewards the player with actual paper-craft to design here in reality if certain conditions are met, via an interactive website. Trophies are rewarded for avid collectors, as well as those looking to simply make the journey. But for you completionists—every single area of the game comes with a percentage tracker. How much have I done and seen? 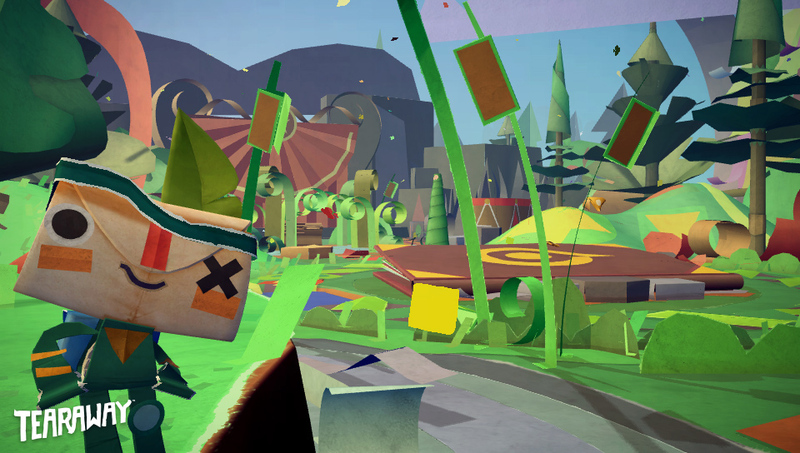 Tearaway will tell you—and there’s plenty of signposting so those privy to it can collect every last little thing and complete every one of the game’s plentiful sidequests. Typically, sidequests are initiated by talking to folks you meet along the way. They can range from…throwing balls into hoops a few times to dispatching a few foes to finding things. The tasks really do vary depending on where you are and who’s asking, but they are fairly numerous. Completing the main game took me around seven, eight hours—but collecting everything and creating customized characters and other in-game elements to my liking will probably double that. 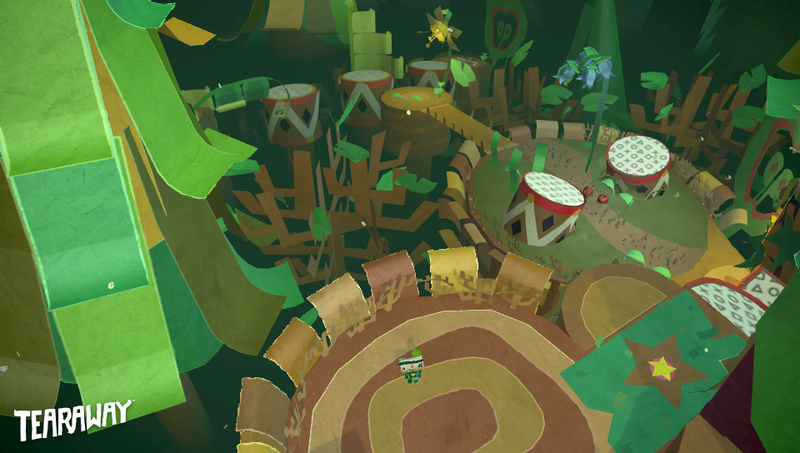 The replay value of Tearaway is definitely there for those who want it. At one point in the game, a spectator character addressed me directly through Iota and asked me to “take a picture of [my] world”. When I gained use of the Vita’s outer camera, I could have taken a picture of my living room or the world outside. Instead, I turned around and pointed the Vita at my girlfriend, asking her to smile. The picture I’d taken of her began showing up sometimes, on the cover of books devoted to the study of the sun—of my world. That’s a testament to the charm that Tearaway offers to players who seek it out. And it’s a testament to the fact that by the end of the game…I was playing right next to my girlfriend as she watched, in awe at some of the things I was doing. Tearaway begs for the attention of others, because it does so much that few games before it have managed to do as well. I know I’ve seen it go on sale a few times, given that it’s the holiday season, but…at the end of the day I was grateful to have paid for a game like this versus waiting for it to be free via PlayStation+. Because the game relies so heavily upon your intervention—your experience is what you make it, really. You’ll get what you give. 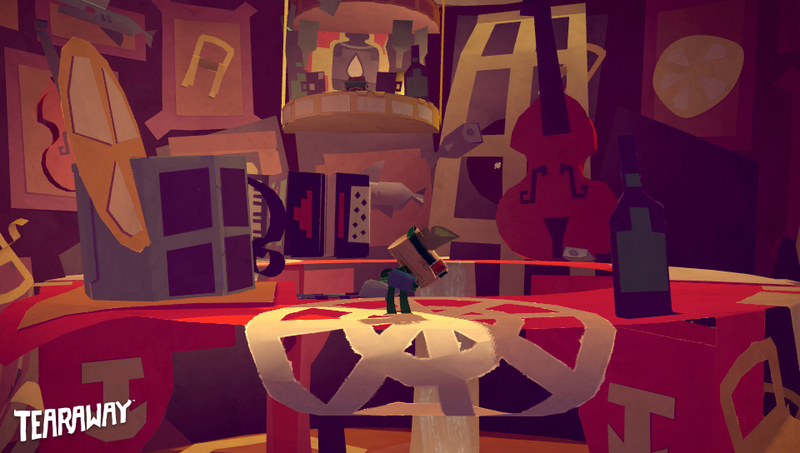 Tearaway isn’t some dark, gritty journey—it isn’t the kind of game to change your world. It’s the kind of game that makes you more aware of it if you let it, the kind of game that makes you appreciate your world just a little more than when you began.